Sponsored Post: I'd like to thank my friends at D'Artagnan for providing me the meat for this recipe and more! There is just something about receiving a box of food on the front porch containing something I've never grilled, let alone experienced. I'm talking D'Artagnan's Wagyu chuck flap meat. Try opening up a package of highly marbled red meat and not get weak in the knees. 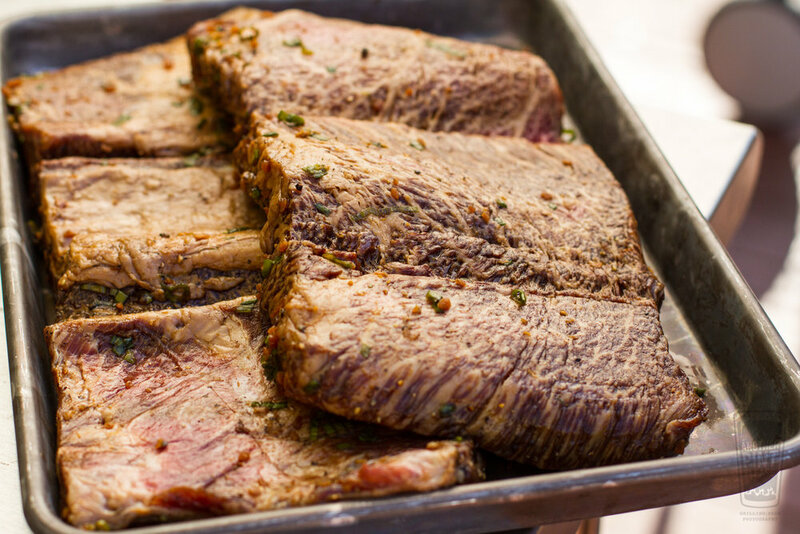 The chuck flap comes from the same muscle as the chuck short ribs, so they are very close in flavor. This great video from Certified Angus Brands offers a succinct explanation. Much like short ribs, this well-marbled dense cut benefits from a marinade or braising, or in my case, a marinade and butterfly. 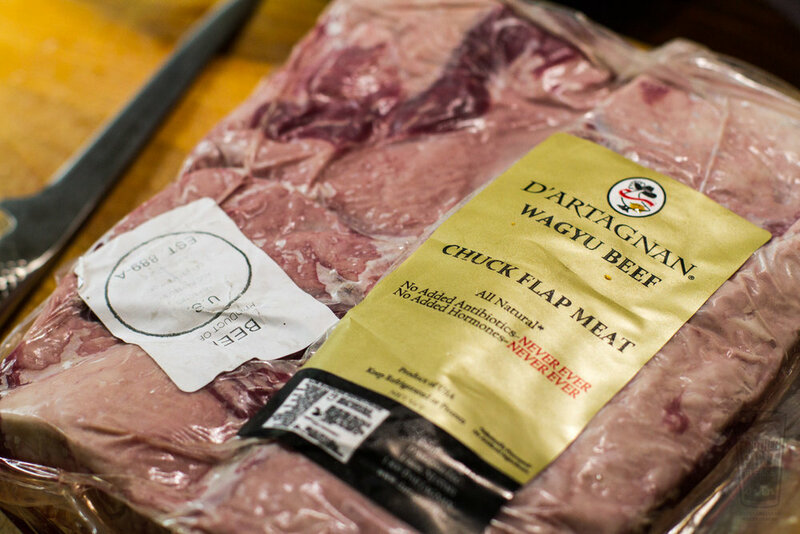 While chuck flap is a great meaty cut on its own, D'Artagnan's American-raised Wagyu beef is something entirely different. 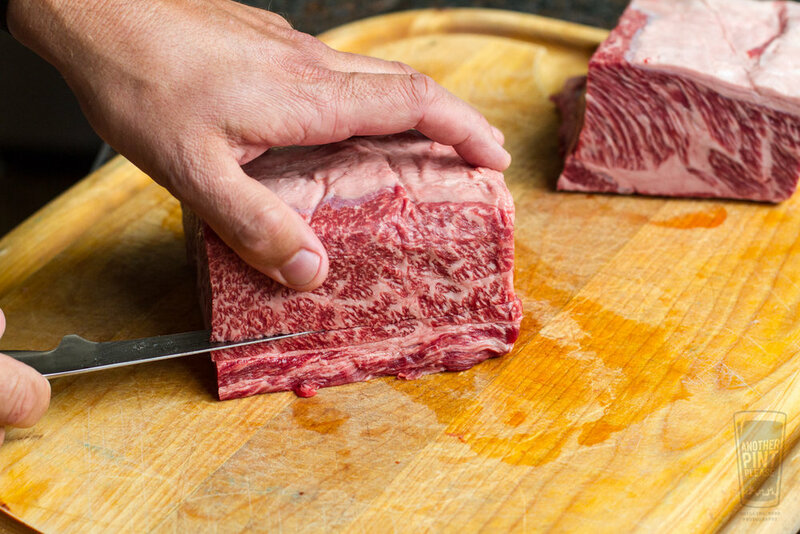 The marbling is essentially a work of art. Once I figured out what exactly chuck flap was, it was a short jump figuring out what to do with it. One of my favorite short rib marinades hails from Jamie Purviance's 16-year old(!) Weber's Big Book of Grilling. In it, he butterflies English cut short ribs, reducing cooking time, and introduces them to a marinade in a medley of Korean flavors. It's bold, it's strong, it's been memorable, and I've been using it for years. It's the perfect long-time companion to usher in a new found cut of meat. This dish is spectacular. The immense meaty flavor of the Wagyu chuck flap merged perfectly with the bold and aggressive flavors of the Korean marinade. I can still taste it. Literally. I vacuumed sealed leftovers and reheated them the other night. Still spectacular! Since D'Artagnan's chuck flap comes with 2, 2 to 3-pound pieces, there is plenty to go around and in my case, enough for a completely different recipe and method, which is yes, coming soon. 1. Slice the chuck flap into 3 equal sections. 2. Make a horizontal cut into the chuck flap, approximately 1 inch from the bottom. Do not cut all the way through, leaving approximately 1/2 inch of meat at the end of the cut. Open the slice like a book. Then, reposition the knife approximately 1/2 inch from the last cut, and make another horizontal cut almost all of the way through. Fold this cut open and spread the chuck flap flat. 3. 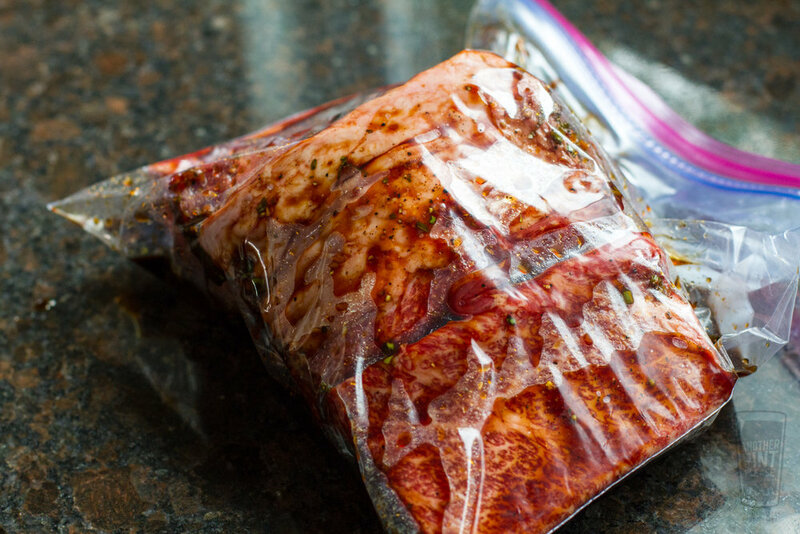 Combine the marinade ingredients in a medium-sized bowl, then add to a gallon-sized sealable bag. Add the chuck flap to the bag and seal, pressing out most of the air. Place the bag in a bowl and refrigerate overnight. 4. Prepare the grill for direct medium high heat (450° to 550° F). 5. Remove the chuck flap from the marinade and pat dry with paper towels. Discard the marinade. 6. Grill over direct medium high heat for approximately 8 to 10 minutes, until the internal temperature reads 120°F with an instant-read thermometer, flipping once. 7. Remove from the grill. Slice and serve.